Centigrade helped Lamborghini turn Quail Lodge into a Lamborghini drive center during Monterey Car Week. 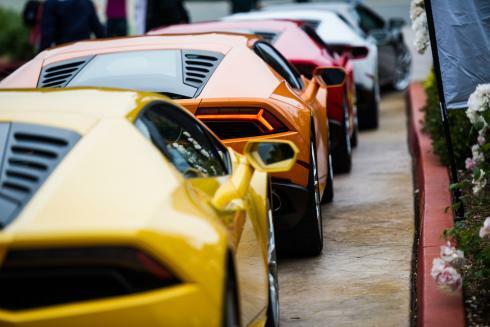 Prospective clients and current customers were given the opportunity to drive their choice of the all-new LP 610-4 Huracán or the Aventador LP 700-4 Roadster or Coupe. Centigrade created a registration site to manage four days of drive slots. Prior to arriving onsite, 95% of the drive opportunities were taken with the remaining few filling shortly after we arrived. Guests were able to enjoy a full espresso bar and refreshments out on a beautiful patio before enjoying a briefing on the vehicles they were about to experience. The drive experience was led by our Lamborghini drive instructors, having guests follow them on a 30-minute route along the beautiful Carmel Valley Road. The excitement was palpable on their return, captured by Lamborghini staff welcoming them and talking to them further about their experience. 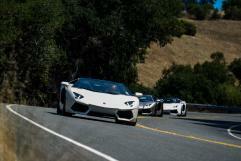 Over four days, over 190 people experienced driving Lamborghini at Monterey.